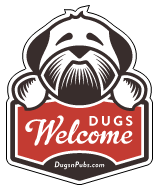 Dog Friendly Shops in Scotland, England, Wales & Northern Ireland. Based in the centre of Aviemore, in the Heart of the Cairngorm National Park. We provide everything for your winter and summer outdoor needs. Italian Wine Merchants and Wine Bar serving the best wines from Italy together with an amazing selection of cheese and antipasti. Dogs always welcome. Cafe and bakery…of all things sweet. Breakfast, fresh lunches and speciality coffee & teas. One of the largest second hand bookshops in the UK. Home of Keep Calm and Carry On poster. Open fires in the Winter. A model railway above your head. 40-foot murals. A mini-cybercafé (well, two computers!) and free wi-fi. Dogs Welcome! Independent beer and wine shop. There are a total of 256 dog friendly listings in the Shops category. Please log in, or sign up as a member to view all listings.